Bluff Creek Park will soon be adding a new fitness trail to its facilities as a part of its improvements plan. The trail will also feature exercise stations for added convenience to runners and hikers. This is the final improvement to be made at Bluff Creek Park, and construction is set to begin this month. 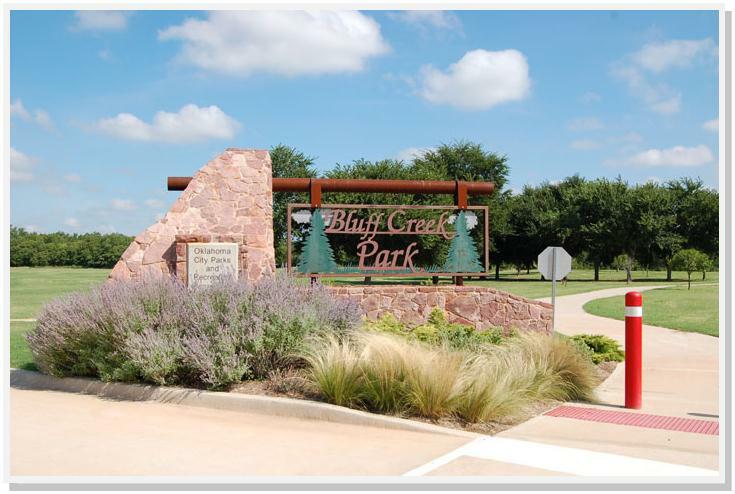 Several years ago, a number of improvements were planned for Bluff Creek Park, located at 10941 North Meridian in northwest Oklahoma City. They included a new access road, walkways, landscaping, parking lots, two picnic pavilions, and the new fitness trail. Funds for the project were partly drawn from 2007 general obligation bond funds and 2013-2014 capital improvement funds. Private funds for the new trail were taken from the Continental Resources Inc. donation. They are also funding a third picnic pavilion in the park, which will be named after them. According to the plan, the new fitness trail will be a ¼ mile long and paved. The three exercise stations along the way will include outdoor exercise equipment and an area for stretching exercises, sit-ups, pull-ups, and arm and balance exercises.